Here’s a look back at the five biggest stories to cross MLBTR’s desk this week. Jose Fernandez passes away. 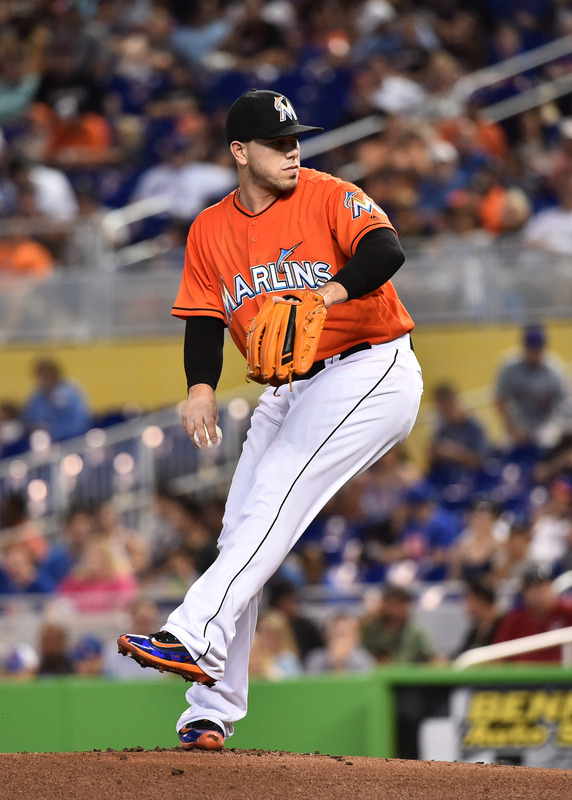 In tragic and shocking news, young Marlins ace Jose Fernandez died in a boating accident Sunday morning. The Marlins announced they would retire Fernandez’s No. 16. Players and commentators throughout the game expressed grief at Fernandez’s passing and looked back at his career. Soon after the tragedy, the Marlins agreed to extend infielder Martin Prado, who figures to provide veteran leadership for the team in what will surely be a trying time. Cubs extend Theo Epstein, Jed Hoyer, Jason McLeod. In the midst of a wildly successful season, the Cubs agreed to new deals with three top execs. Epstein’s deal reportedly could be worth more than $50MM with incentives, a wild sum for a front office employee. Wilson Ramos tears ACL. The Nationals lost their starting catcher for the postseason after he tore his right ACL for the second time. Ramos was in the midst of an excellent walk year, batting .307/.354/.496, but now he’s facing an injury that will impact his free agency prospects this offseason. Cardinals to decline Matt Holliday’s option. The Cardinals will allow their longtime slugger to test the free agent waters rather than pay him $17MM for 2017. It’s unclear whether Holliday might return to St. Louis on a different deal. “Speaking in absolutes and saying there’s no chance of him coming back — I’m not prepared to do that,“ said GM John Mozeliak. “We haven’t had our offseason meetings.” Holliday, for his part, thinks it’s unlikely he’ll return to the Cardinals, although he says he’ll continue playing. One Cardinal who will be back next season is manager Mike Matheny, who the Cardinals will retain. His contract expires after 2017. Twins likely to hire Derek Falvey. The Twins appear to be on the verge of hiring Indians assistant GM Derek Falvey to be their next president of baseball operations, although the team has not yet made an announcement.